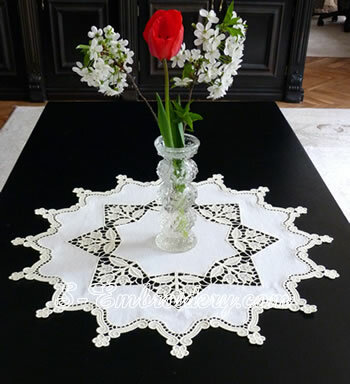 The Tulips free standing lace doily machine embroidery set includes 2 machine embroidery designs - a tulips embroidery and a free standing lace border. 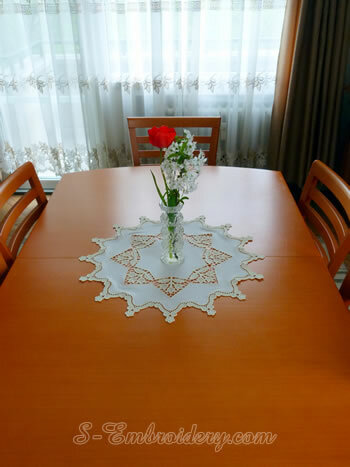 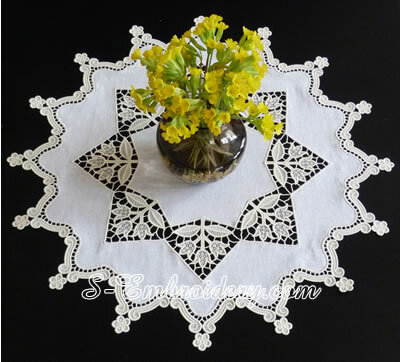 The diameter of the ready doily is approximately 54.5 cm (21.4 inches). 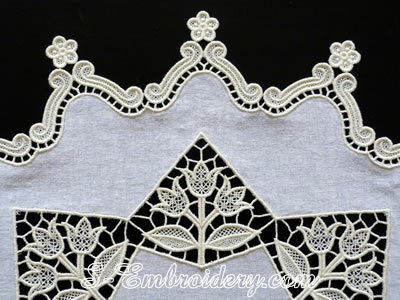 You receive 2 machine embroidery files - in one file you have a combination of the tulips embroidery design and the border and the other file contains only the border. 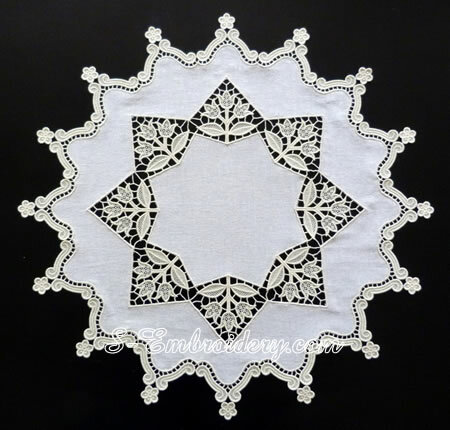 The set comes with instructions in PDF format for creating the doily, featured on our web site.